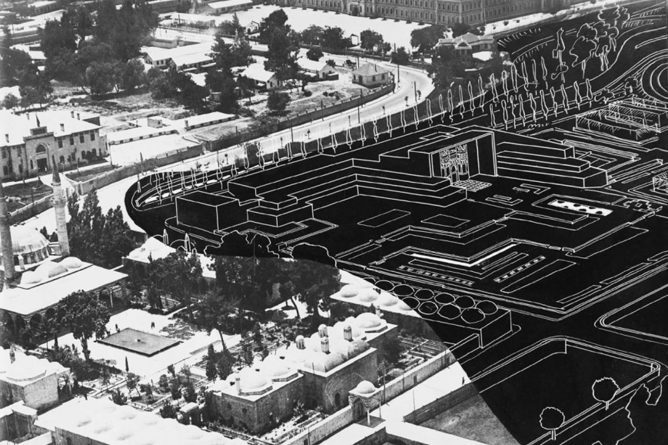 This presentation gave an overview of a dissertation on French architect, archaeologist and planner, Michel Écochard, and his work in Damascus between 1931 and 1968. It focused on the ways in which the architect’s work had influenced the urban modernisation of the city in relation to social and cultural transformations, during this period, and explores, in reverse, the City’s impact over his views on architecture and the development of his concepts and methods. The study relates concepts of time-geography in understanding the role of architecture in the representation of time, and develops a method based on New-Historicism to produce a narrative of history which evades reduction and escapes canons and celebrates complexity and multiplicity. The aim of the presentation was to bring the subjects of this study out of anonymity and to share some ontological concerns about architecture and illustrate some of the methods and concepts used to tackle this and to invite others to participate in this exchange. On Thursday 22 November, CREAte (Centre for Research in European Architecture) will be hosting a great debate on the direction of design teaching in the School. CREAte have invited four leading guests to join a conversation about the broader aims of the upcoming Stage 3 BA (Hons) Architecture Collective Dwelling and Architectural Design projects. CREAte’s guests will be Charles Holland, the architect of the House for Essex; Catherine Slessor, critic, and former editor of the Architectural Review; Ruth Lang, design tutor at CSM and historian of public housing in London, and the well known architect Richard Reid, whose Epping Forest Town Hall is one of the great masterpieces of British postmodernism and has recently been listed for conservation by Historic England. The debate is open to all, and will take place in Grimond Lecture Theatre 1 from 5.30-7pm on Thursday 22nd November, supported by KASA (Kent Architectural Student Association). A symposium held at the Chartered Institute of Building Services Engineers (CIBSE) on 25 July 2018, organised by Dr Henrik Schoenefeldt in collaboration with CIBSE Heritage Group has been featured in an article in the September issue of CIBSE Journal, written by Liza Young, Deputy Editor. To read the full article, please see here: http://portfolio.cpl.co.uk/CIBSE/201809/28/. The symposium, ‘Historic Building Services in Education, Practice and Research’, explored the value of studying historic building services and how it can inform the practice and education of building service engineers today. 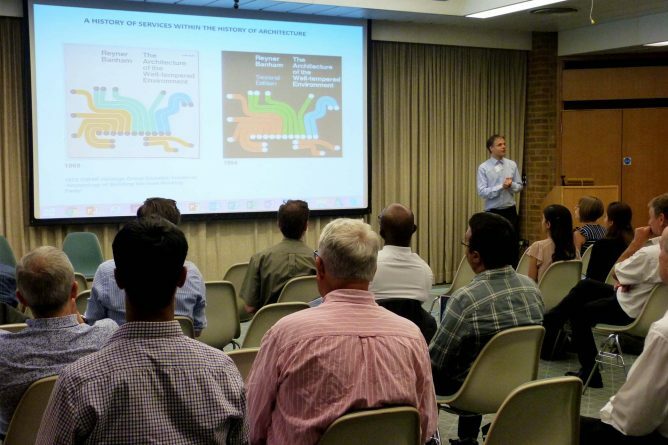 Through talks and discussions, the event provided a forum for practitioners, engineers and educators to investigate these questions. Speakers and panel chairs included Professor Dean Hawkes, University of Cambridge, Dr Neil Sturrock, Chairman of CIBSE Heritage Group, Caroline Cattini, Historic England, Phil Jones, Chairman of CIBSE CHP & District Heating Group, Dr Henrik Schoenefeldt, University of Kent, Andrew More, Senior Building Services Engineer, Historic England. Kent School of Architecture MSc Architecture and Sustainable Environment students, and CASE (Centre for Architecture and the Sustainable Environment) PhD students presented their work at the event, in addition to a PhD student from Cardiff University. CASE (Centre for Architecture and the Sustainable Environment) organised a very successful workshop at London’s Living Room, City Hall on Monday 15th October 2018, marking the beginning of Green GB week. 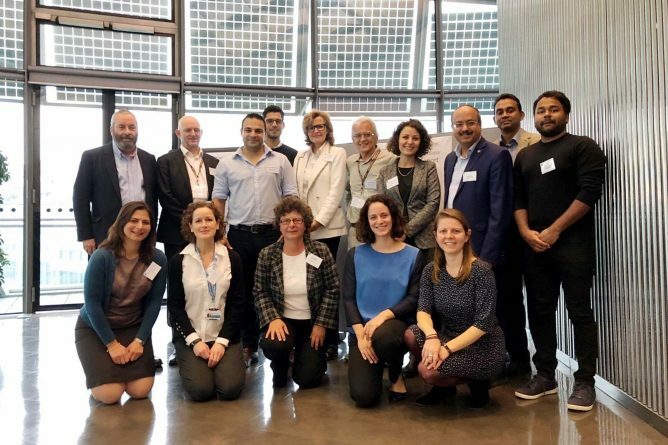 The workshop, ‘Urban Albedo: Digital tools for urban resilience and growth’, was co-orgnised with Greater London Authority and the London Climate Change Partnership (LCCP), along with Brunel University and Loughborough University, who are both project partners. The workshop, chaired by the former President of the Urban Design Group, Colin Pullan, brought together leading urban and building scientists, as well as practitioners from different backgrounds, to inform the impact of urban morphology and materials on urban albedo and its importance for health and well-being. For further information about the Urban Albedo research project, please see here. 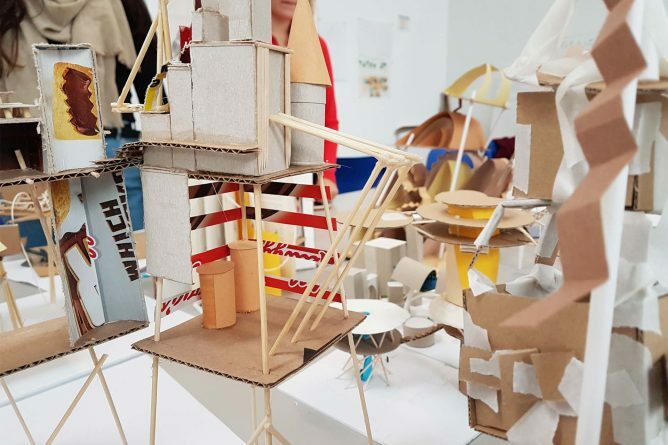 Stage 1 students on the BA (Hons) Architecture course have brought Italo Calvino’s ‘Zenobia’, from his novel Invisible Cities, to life in their first mini project as part of AR318 Form Finding module. Invisible Cities was initially written as a travel guide in 1972 in Italian by the Cuban writer Italo Calvino. The book explores the power of words and the imagination; an explorer, Marco Polo, describes a series of imaginary cities to the emperor, Kublai Khan. They are prose poems, probably inspired by Venice, which illustrate many aspects of the city; its culture, language, time, memory and death and through these they offer the reader an insight into the human experience. Over the course of two weeks, the students worked on their interpretations of a passage from the classic novel which describes the city of Zenobia, through illustrations and model-making. MA Architectural Visualisation student, Olegk Stathopoulos, documented the assembly of their take on Zenobia outside the Marlowe Building and created a great short film which you can watch here. This lecture, taking place today from 2.00 – 2.30pm in the Digital Crit Space, looks at the impact-related conservation workshop organised by Nikolaos Karydis on the island of Lesvos in Greece. 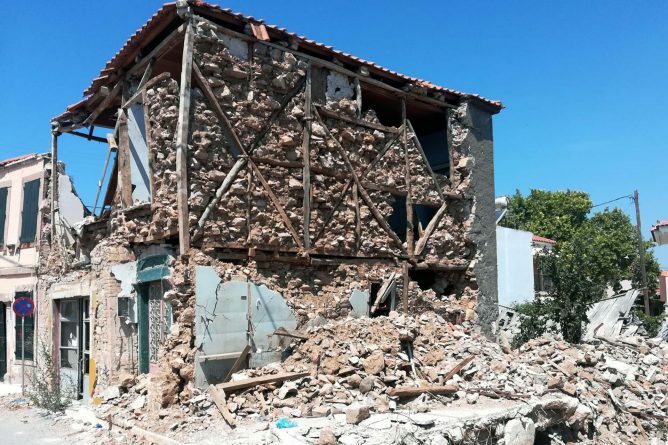 Following the earthquakes the hit the island in 2017, this workshop aimed to familiarise local conservation professionals with the island’s vernacular structures and their impressive earthquake behaviour. The latter had been analysed in Karydis’ book Eresos (2003) as well as in his recent paper of 2015. Despite these publications, Lesvos’ architects and engineers were not familiar with these structures and their earthquake-resistant qualities. The workshop was an opportunity to make Karydis’ new research available to these professionals. It also raised awareness of the dangers of the use of cement and reinforced concrete in the repair of these stone and timber structures. At first, local engineers were reluctant to abandon these incompatible methods. Still, during the workshop, most of the participants were convinced that these structures can be repaired with natural materials following the building logic of Lesvos’ vernacular buildings. This helped to develop a new attitude to the historic structures of Lesvos and their future preservation. 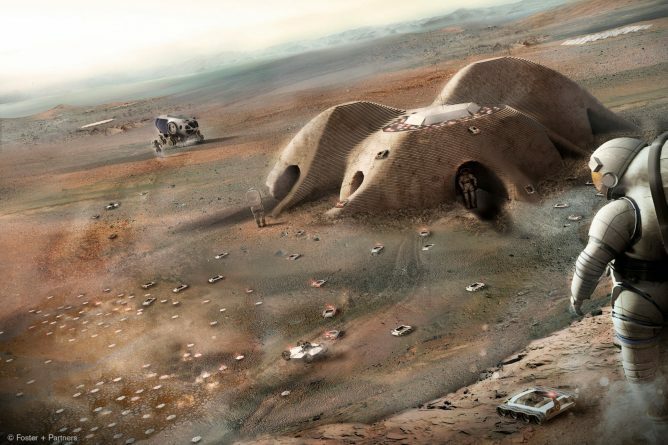 The next Digital Architecture Open Lecture will be given by Josef Musil, Associate and Computational Designer at Foster + Partners, with his talk, ‘Autonomous Additive Manufacturing on Mars’ which is due to take place on Tuesday 30th October at 6PM in Marlowe Lecture Theatre 1. Designing an outpost for a long-duration scientific expedition to an extreme environment such as Mars requires the basic qualities of functionality, comfort, and security. In this presentation we look at the key environmental conditions that govern the functionality of a Martian habitat and what it takes to design and build a comfortable home for a crew of four for 500 days with limited communication with Earth and most critically, how to ensure mission success, safety, and robustness through increased redundancy. These factors are collected here into a conceptual design proposal and multi-robot additive regolith construction system. This work is part of ongoing research at F+P specialist modelling group on robotics, large-scale additive construction, and architecture for extreme environments. Josef Musil is an associate and a computational designer at Foster + Partners in London, where he is part of the research and parametric design oriented Specialist Modelling Group. In his work he focuses on applied research, application of new technologies, and algorithmic design to complex architectural and geometrical challenges. Some of the projects he worked on include Safra neuron screen, where he built a generative model of a small section of brain also called cortical column with an automated workflow that reads 3D scans of neuroscientific scans as well as implements structural analysis and manufacturing constraints. He also specialises on the application of small robotics within the office. This has been demonstrated by a working functional prototype of a small number of 3D printing swarm based robots for a NASA organized Mars habitat competition where Foster and Partners received second place. Other projects include a kinetic lighting sculpture activated by muscle wires and reacting to live brain wave signal reads. The first KASA (Kent Architectural Student Association) Open Lecture of the year will be given by CJ Lim, Professor of Architecture and Urbanism at The Bartlett, UCL, and founder of Studio 8 Architects, on Tuesday 23rd October at 6pm in Marlowe Lecture Theatre 1. 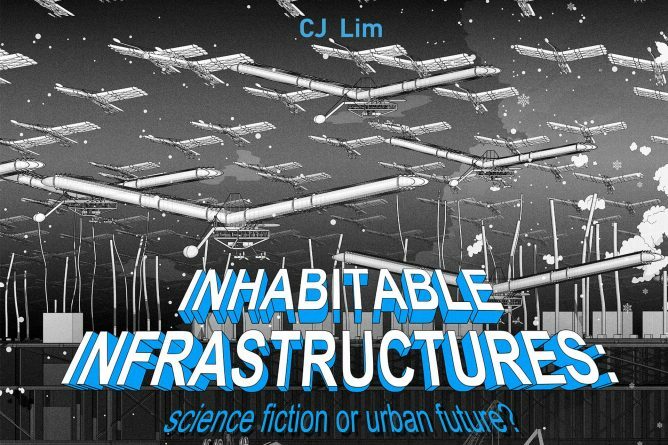 CJ Lim’s talk entitled, ‘Inhabitable Infrastructures: Science fiction or urban future?’ is the follow up to ‘Food City’ and ‘Smartcities and Eco-Warriors’, explores the potential of climate change-related multi-use infrastructures that address the fundamental human requirements to protect, to provide and to participate. The stimulus for the infrastructures of resilience derives from postulated scenarios and processes gleaned from science fiction and futurology as well as current body of scientific knowledge regarding changing impacts on cities. JG Ballard has written that the psychological realm of science fiction is most valuable in its predictive function, and in projecting emotions into the future. CJ Lim is the Professor of Architecture and Urbanism at The Bartlett UCL, and served as Vice-Dean and Pro-Provost of University College London. His area of expertise is in sustainable urban planning, architecture and landscape, focusing on interpretations of social, cultural and environmental programmes. He is also the founding director of Studio 8 Architects in UK – a multi-disciplinary and international award-winning practice. His area of expertise is in sustainable urban planning, architecture and landscape, focusing on interpretations of social, cultural and environmental programmes. 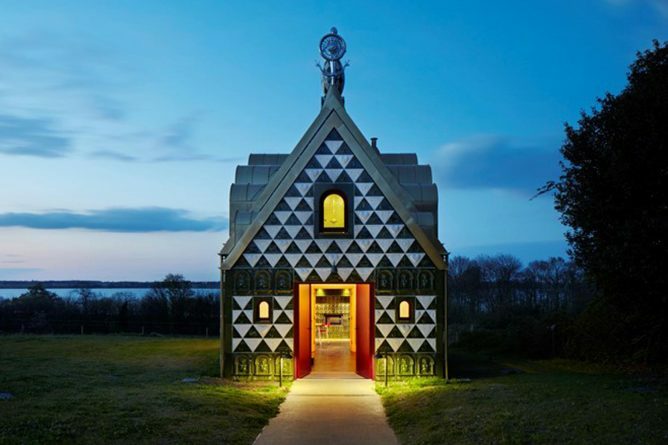 He is the recipient of the Royal Academy of Arts London ‘Grand Architecture Prize’. The upcoming CASE Open Lecture will be given by Dr Susan Parham, Head of Urbanism and Planning at the University of Hertfordshire on Tuesday 16th October at 6pm in Marlowe Lecture Theatre 1. Her talk entitled, ‘Just what is ‘sustainable urbanism’ when it comes to food?’ will explore some of the ways cities and food are intertwined – drawing on urbanism research from the historical and contemporary city and its peri-urban edges, and will consider food’s sustainability as a highly contested area today in relation to what foodspace ‘works best’. 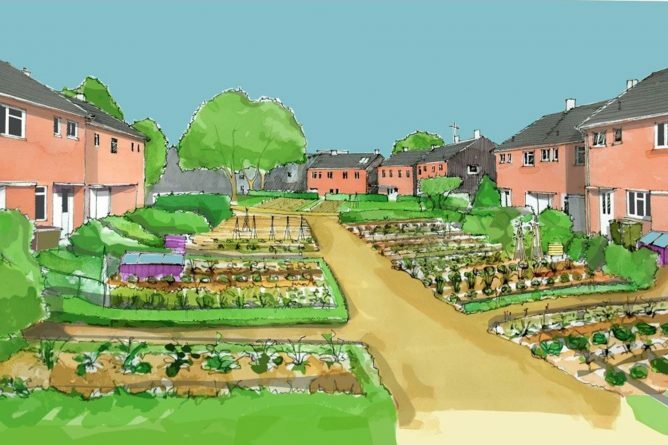 Drawing on her own (and others’) applied research in the UK and elsewhere, Susan will consider some current design and planning focused urban foodscape and systems proposals for food-centred placemaking and retrofitting. Susan will argue the proposition that these approaches might contribute to responding to sharpening sustainability imperatives now and into the future. Dr Susan Parham is Head of Urbanism and Planning at the University of Hertfordshire and Academic Director of the International Garden Cities Institute (IGCI). She researches and teaches on placemaking including food and urban design, planned settlements, sustainable materials, and masterplanning and retrofitting. Susan’s most recent book is Food and Urbanism (Bloomsbury, 2015) and her latest book chapters are in The Routledge Handbook of Landscape and Food (2018), Agrourbanism (2018) and in Future Directions for the European Shrinking City (RTPI Library Series, 2016). Susan is a member of the Royal Society for the Arts and the Royal Town Planning Institute. Kent School of Architecture’s first open lecture of the academic year will be given by Dr Rupert Soar, and will be a presentation of his research. The lecture will take place on Tuesday 2nd October 2018 at 6pm in Marlowe Lecture Theatre 1. 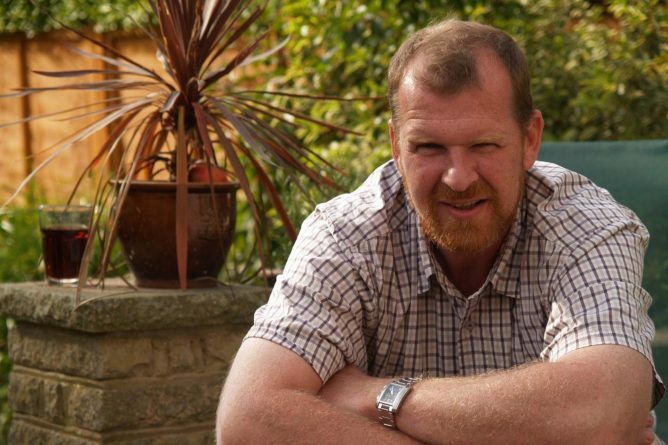 Rupert is reader in Construction Technologies at Nottingham Trent University, & Consultant through Freeform Construction and Engineering Ltd. Rupert works between field research with termites and application in ‘digital construction’ technologies. His special interest is how organisms integrate multiple functions within the same solution, because this could solve our own ‘resource scarcity’ issues. Within construction, Rupert’s application work covers façade solutions, based on how termites harvest insolation effects to drive turnover of air, how they regulate moisture levels to extraordinary levels to support the colony, how they harvest transient air flows to drive complex gas exchange methods and how they integrate many functions at once.